The other day we women a really important question…“What specifically could your man do to get you ‘in the mood’ for love and romance more often?”And boy, did we get the responses!What came out of the survey wasn’t surprising–but it was. It’s surprising that it’s so simple to do but not many people seem to be doing it to keep their relationship passionate and alive. 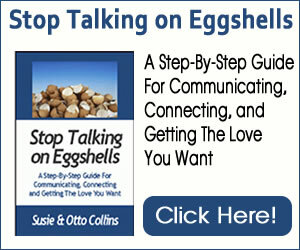 In this program, we’re giving you 77 of our best tips, ideas and techniques for creating a relationship that’s filled with passion, love and red hot excitement. What’s the #1 thing that women say they want from their men that would get them “in the mood” more often? Doing little things throughout the day to show your partner that you care and that he or she is important to you. The health of your relationship could depend on doing these little things and not stopping. Yes, passion play– all day IS that important. You may say that keeping in touch throughout the day is too time-consuming and that you’re too busy. We say that this is one relationship you can’t afford to ignore. Just ask anyone who’s going through a separation or divorce. So take just a moment right now and touch base with your loved one. Using kind words can go a long way to creating more connection and passion in a relationship. You might say that sometimes you’re tired or stressed and you just don’t feel like being kind. If that’s the case, then let your partner know and go get yourself together. Then come back and connect with your loved one. The women in our survey told us they loved this kind of kiss but we’ve found that men react just as much to this kind of kiss as women do. The trick is that it’s unexpected. Now of course you have to “read” your partner and if he or she is deeply engrossed in a project and you know that this kind of distraction is not appreciated, don’t do it then. Do it as you pass in the hall or in the bathroom. The point is to show affection with no agenda in mind except to convey that he or she is important to you and you love being that close. Spending time alone together is often the first thing to go when your life becomes stressed and over-whelming. Take that 15 minutes and make the most of it. Take a walk around the block–just the two of you. Hold hands and look at each other while you do it. It doesn’t take long–not as long as it takes to go on Facebook, watch a tv program or check the scores of your favorite teams. These are just a few ideas for doing “Passion Play All Day” and if you have more you’d like to tell us about, be sure to write to us! Yes, your relationship is that important. Be sure to treat it like it is.